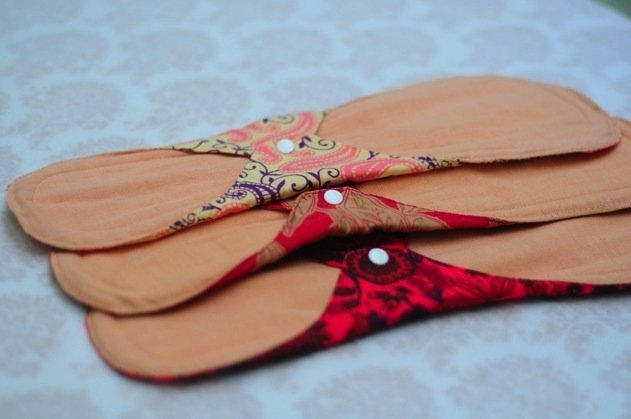 Lovelady pads are made by Dharti Mata Workshop in a mountainous village outside of Kathmandu, Nepal. Dharti Mata provides sustainable employment opportunities for local Nepali women and is currently supporting 24 families to rebuild after the recent earthquake. 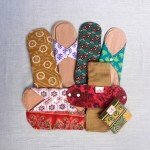 Buying Lovelady pads support sustainable futures for Nepali women, their families, & whole communities. 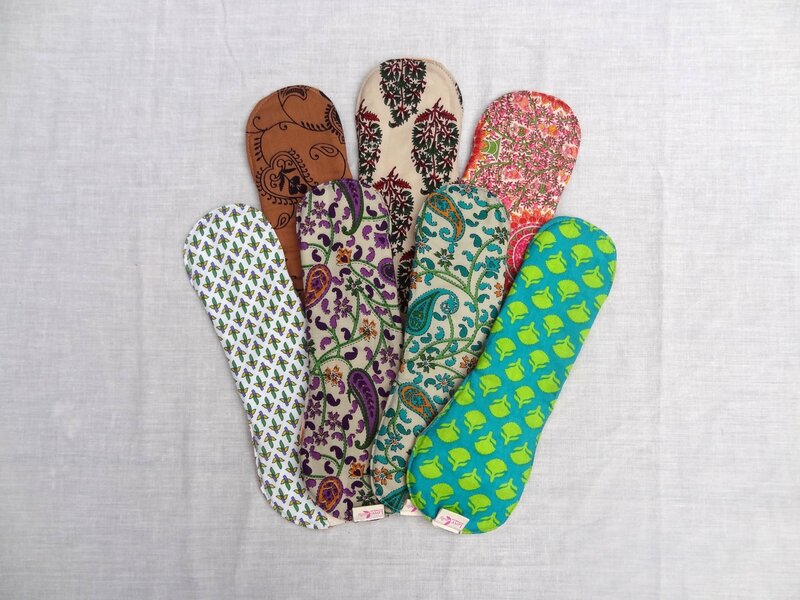 Lovelady pads come in a range of shapes to suit your body & unique flow. 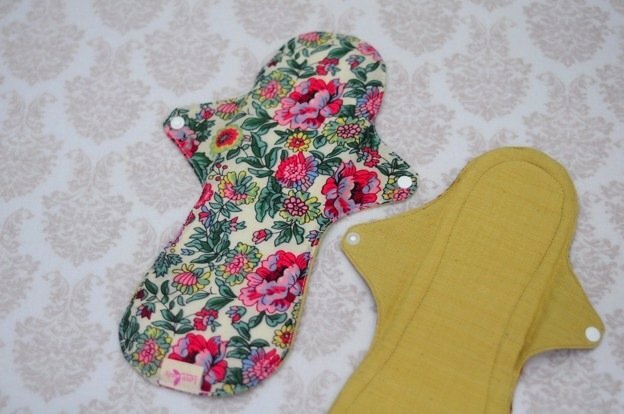 All pads have wings to attach around your underwear with a plastic clasp. 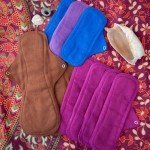 The pad top (against your body) is made with vegetable-dyed, hand-woven, organic cotton. 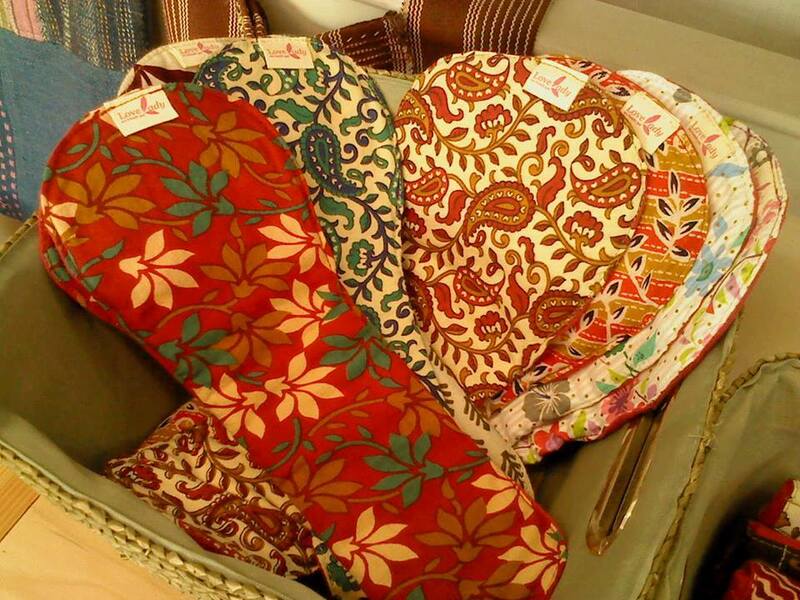 The pad bottom is made with beautiful printed fabrics carefully selected at local markets in Kathmandu (prints will vary). 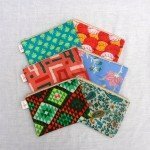 Hand washing recommended to preserve natural dye; can also machine wash on gentle setting; air/sun dry. 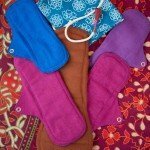 Use natural detergent for longevity of pad and your personal health.When used and cleaned properly, a Lovelady pad can last for at least 2 years, likely much longer! Long Pad – for average flow days in a longer length (30cm, ~11.8in). Can also be worn as a night pad on light days. Sold singly. Night Pad – for overnight on light to medium flow days. On heavy days, Lovelady recommends placing a towel underneath to avoid leakage. (length: 36cm, ~14in) Sold singly.